He is the fastest monster alive, he is Domo! 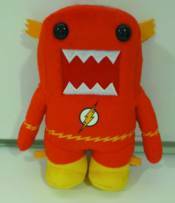 Doning the guise of the speedster of Central City, Domo is the Flash for the latest release in the Domo x DC Comics plush line! Available in 6' and 9' sizes.